When I was informed of the "Harvest" theme that was to take place these couple of weeks on Star Maker Machine, XTC's "Harvest Festival" immediately sprung to mind. And there's good reason for that: "Harvest Festival" is one of my favorite songs by one of my favorite bands. It features a gorgeous melody that builds from a simple piano to a full-blown symphony of sounds, Beatlesque in the best sense of the word. Its beauty and honest grandeur never fail to move me. 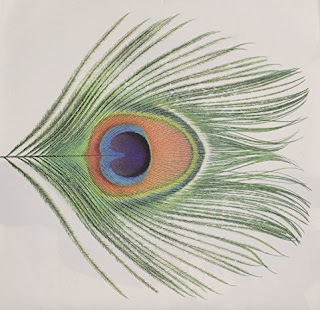 If you'll forgive me a bit of overemoting, consider this: if you're not an XTC fan already, this may be one of the most beautiful pop songs you've never heard. I strongly encourage you to listen to it, not just read about it -- stop reading this now if you must, but listen. In what I consider the Spring-to-Winter cycle of Apple Venus, the 1999 album it comes from, "Harvest Festival" lands, naturally, at the beginning of Fall. After the buildup to Summer ("Green Man"), the bursting forth of the fruit ("Fruit Nut"), and being brought back to earth after a summer romance ("I Can't Own Her"), we turn once again to the serious business of harvesting the crops, returning to studies, and preparing for the chill of winter. In some cases this means formalizing romantic bonds with weddings. 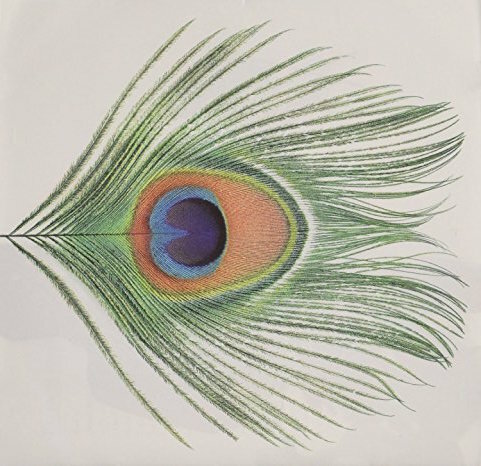 As XTC's Andy Partridge has said about writing this song, he commingled the ideas of the harvest festivals of his childhood in England with marriage. (The harvest festival in Great Britain follows the summer holiday as children return to school, and is traditionally held on or near the Harvest Moon, the full moon occurring closest to the autumn equinox. Students bring in produce to display, and then distribute it to local people in need.) In a way, the song exists in two times at once: in Andy's childhood memories, and in the future, when he and his classmates have grown. As "Harvest Festival" begins, the festival is called to order with a few piano notes and the sound of chairs sliding back as people stand (in this commingled imagining, both for the festival and for a wedding). Partridge recalls the beauty and tradition surrounding the festivals, mixed with the effects of youthful hormones kicking in, then moves forward through the end of those school years, losing touch, and then reconnecting as old schoolmates marry. In all, it's a cycle of life in terms of not only the harvest, but of growing up as well. 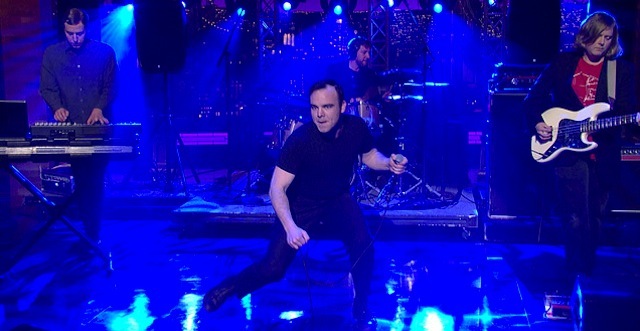 I think a lot of folks came to Future Islands via The Late Show with David Letterman. It was the band’s Late Show debut and they put on a masterful rendition of the hit single, “Seasons (Waiting on You)”—a buoyant, bouncy gem with a church-hymn-worthy chorus and a soaring dance-infused rhythm. I fell in the love with the song, and Letterman, ever a musical enthusiast and never one to shy away from promoting the bands he believed in, did too. 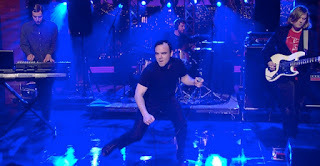 But it was more than the song Letterman liked: lead singer and main songwriter Samuel Herring is blessed with many talents, but his peculiar dance moves are more akin to combat defense positions and he cuts quite a figure on stage. Seasons is a gorgeous song—there’s no weird dancing in the video, and in the listening, we can judge the band on its true merits. As we should. And we can love the song because we are moved by what counts: melody, beat and soulful expression-what good music is really about. Being of age 60+ (perhaps the fall of my life) and having worked for 40 years or more, it seems natural that I consider what I have sown and what I will reap at the end of the road. I wasn't going to do a post about Neil Young's Harvest. It seemed so trite - theme: Harvest/Album: \Old Man/Song. However, someone needed to do the post for many reasons: because (more than my previous post about John Barleycorn being the quintessential Harvest song), this is the bottom line. There is nothing more fundamental than the album with the name of the theme, No? What say about an album titled Harvest with the song Harvest? It may be Young's best. Of the 10 tracks on the album ... 1/2 of them are pantheon classics. Need I list them? No sooner had CSNY hit the top of the charts, than they began to fall apart. And, as part of this process, Neil Young (previously of Buffalo Springfield - along with Stephen Stills) was off on his own - I guess he was the first of the CSNY group to produce his own after the success of the 4-some, and t'was the Harvest album. From the album, Heart of Gold may be my fave, but ... we need to focus on the harvest/fall aspect: Young's song about what you sow and harvest. (Old Man) may not seem at first to fit the theme. But I would contend that the back story to the lyrics is very much one about harvest - the end of a season, the reaping of what you have sown. I think that - on examination - you would have to agree that the deeper meaning of Young's lyrics are very much about harvesting what you have sown in your life. Even beyond that - <take at look at> the power of this performance: maybe one of the best indicators of what Neil Young is/is capable of. The lyrics - if you dig - are phenomenal. Low key but powerful. The guitar is simple/basic, but powerfully on target - half way between folk and rock, soft and yet rough. I guess this is why he is at the top of the list of "the best". Sing: "Doesn't mean that much to me to mean that much to you"